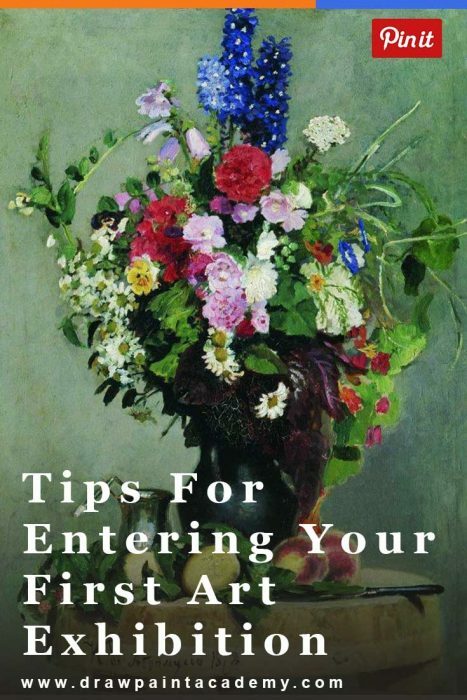 Here are some tips for entering your very first art exhibition. No matter what your skill level or your goals as an artist, you should be taking part in art exhibitions. Not only do you get to be involved in a community of like minded artists and art fans but you also get relevant exposure to your art (getting your art in front of your local community can be much more meaningful than a few likes or clicks from people on the internet). However many people are hesitant to enter art exhibitions usually due to a lack of confidence. But let me assure you, there are exhibitions for all skill levels. Sure, if you are just starting out you may not want to enter the prestigious national portrait exhibitions, but there is no reason you could not enter your local exhibitions which cater more to beginners. My first exhibition was much more stressful than it needed to be as I did not properly prepare for it. The morning of handing over the selected paintings was a whirlwind of stress as I ran around trying to get everything ready. 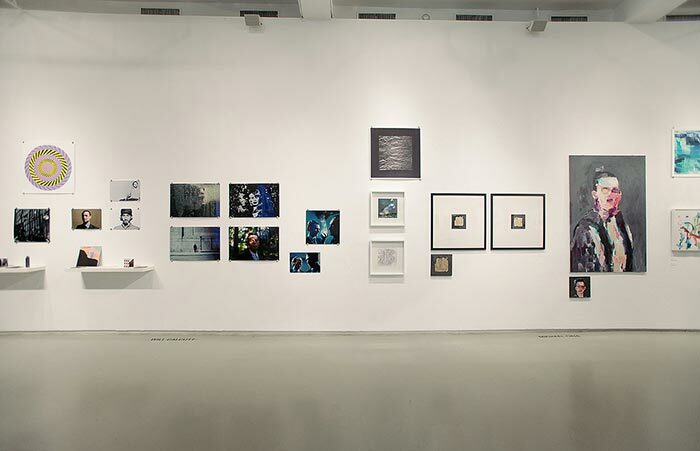 This article will hopefully not only inspire you to enter art exhibitions but also help you understand what exactly is involved. 1. 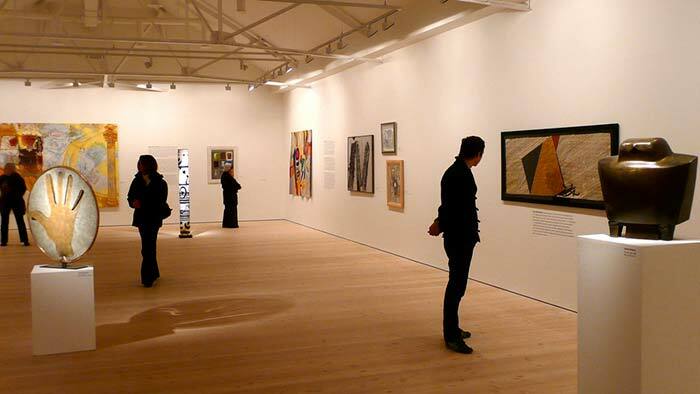 Why should you enter art exhibitions? You get exposure to your art. 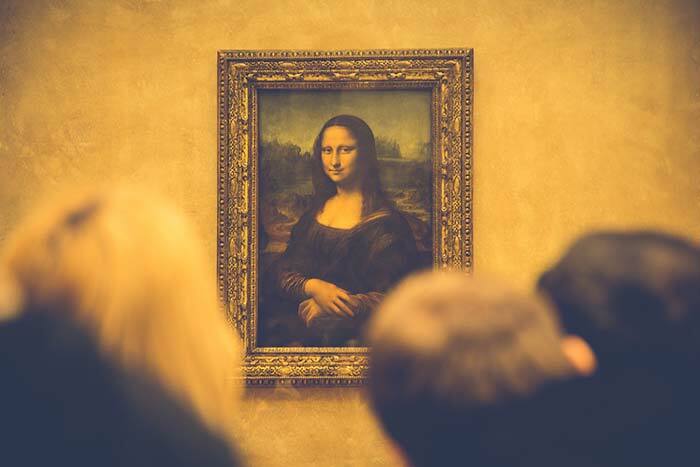 If you are interesting in selling your artworks, then this is how you get in front of people who are interested in buying art and have a sizable budget. You get to meet other artists. You get to be inspired by much greater artists. Do not feel intimidated by artists who are more experienced than you. Learn to admire them and use them as inspiration. With practice, you may one day be in their position. You are forced to put your best foot forward with your painting. If you find yourself producing lots of lackluster work, then signing up to art exhibitions may give you a bit more inspiration to give it your all and put the effort in. You will stop procrastinating in order to meet exhibition deadlines. There is a chance to win awards, which can really shot-put your art career. 2. But what if I'm not good enough? I am not going to go ahead and say everyone should look to enter art exhibitions right from the get go. There may be a time when you are just not ready. I waited a good two years before submitting paintings to my first large exhibition (I did however take part in a very small exhibition in my early days). After two years I felt ready. I cannot explain why I felt ready, but it just seemed as if I had put in enough work. It is daunting seeing your art hanging there in front of so many people, completely vulnerable to all sorts of critiques. So you need to enter with confidence and also have thick skin to criticism. You will not please everyone. That is just part of the game. Some people will like your art, some will love it, some will be inspired and some will hate it. If that is the response you get from your art, then you have done your job. The people who do not like your art will move on. Nothing lost there. Don’t be offended because we all see things differently. Remember the great impressionists like Claude Monet and Vincent van Gogh were outcast when they started. The societies of those times were much more accustomed to delicate realist works. So when will you be ready? That is a completely personal question and I cannot answer it. You may be extremely confident in your art and start entering exhibitions straight away. That is fine. But it is also fine if you need a bit more time. But the worst case scenario is being frozen by doubt and not doing anything. If you want to enter an exhibition but feel held back by needless doubt, then just enter. You may not be accepted, but that does not matter. At least you took that first step. When the next exhibition opens for entry you will find it much easier to enter. Fear of failure is usually what holds most people back not only in art but in pretty much everything in life. The best way to get over this fear is actually to just experience failure, learn from it and grow from it. You will realise failure is not all that bad. 3. Do art exhibitions cost money? Short answer, yes. How much depends largely on the required preparation for your artworks. A small entry fee. This is usually on a per submission basis and is non-refundable even if you do not get selected to exhibit your work (this is why it is so important to submit very high quality photos of your art to exhibitions). The cost of preparing your artworks for the exhibition. This could be as little as the cost of some wire and D-rings to hang your artworks. On the high end, you could be looking at a very expensive submission if you want to frame and varnish your artworks. Delivery costs. You will need to deliver your artworks to the exhibition if selected. If it is a local exhibition, then you can just deliver the artworks in person. Otherwise you will need to incur extra costs for safely posting your artworks to the exhibition and arrange for return home if they are not sold. 4. What is the start to finish process of a standard art exhibition? There will be a call to entry. This will set out the entry requirements for the exhibition and the deadlines. You will submit your artworks. Usually, a requirement is that your submitted artworks have been completed within a year of the exhibition (so that you do not keep submitting the same great paintings over and over). The finalists will be announced. Great job if you make it. No worries if not. If you are selected as a finalist, you will need to firstly prepare your paintings for the exhibitions. We will discuss what is involved with this below. There will be a certain time when you will be required to deliver your artworks to the exhibition. Make sure you do not miss the time frame, as your artworks may be denied otherwise. There will be an opening night which you can choose to attend. You are not required to attend the exhibition in person, but I do recommend it. If your artworks sell, then the exhibition will handle everything. You will receive your sale proceeds (less a commission taken by the organiser) but you will generally not be provided with the buyer details. If your artworks do not sell, then you will need to collect your artworks at a certain time and place. If you want to enter exhibitions, this is probably the most important section. You should spend a lot of effort here, otherwise your submission may not look professional and may not get accepted, regardless of how good you are. Treat your submission to an exhibition as if you are applying to a new job. Your submission is your resume and cover letter. The most important part of your submission is to provide high quality photos of your artworks. I will need to prepare a separate article on this as it can be a bit complex. Art exhibitions receive many applications so you need to make sure all these details are accurate to give you the best chance at being accepted. The primary benefit of entering exhibitions is not to sell your artworks, but rather the exposure you receive and the chance of awards. However, most exhibitions will require that your artworks are for sale so you will need to put a price on them. Pricing your artwork can be complex and many artists stress over it. I take a simple approach. Pick a reasonable value per square inch of your artwork and just go with that. For example, if you are just starting out you may want to go with a lower number like $1US per square inch. If you are pricing a 12x16 inch painting, then you would put it at $192. However you will not receive these proceeds in full. There will be commission taken from this. Some artists will add on an amount to account for commissions and other expenses. I personally do not worry about this and just chalk those costs up to marketing. Determine if you are going to frame your artworks. You will need to select frames which complement your artworks but do not compete with them for attention. If you are not framing your artworks, then you will need to consider how you will present the edges of your canvas. A common practice is to extend the painting over the edges to give a very contemporary feel. Otherwise you could just paint the edges a flat white or black. You will need to prepare your artworks to be hanged. The general practice is to use D-rings and wire. I used some kind of circle rings with string. Believe me, it did not look professional. Consider if you need to varnish your artworks. This is not a requirement. I did not varnish mine but many artists do. 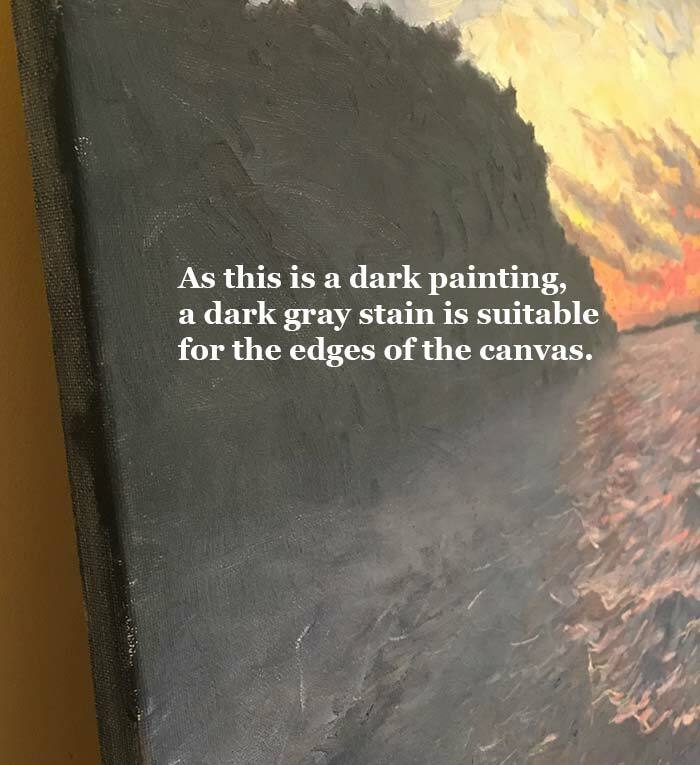 In the above painting, you can see I stained the edges with a dark gray. However, in the painting below I ran out of time and did not prepare the edges at all. The painting was pretty much fresh from the easel. But it did not look professional. This is the fun part. You have put in the hard work, been selected and now you can just walk around and see your artworks hanging in front of everyone. A word of warning though, it may be a bit daunting to see your artworks in front of so many people. Not everyone will like it. But even it you just reach one person and make a new fan, then it is worthwhile. A general marketing theory is that people need to be exposed to what they buy several times before they actually buy it. It may be nothing more than seeing a photo here and there. It is all about them becoming gradually accustomed to a product before they buy it. However, exhibitions will rarely allow direct communication between potential buyers and the artists. This is because they want all the commissions. With that being said, potential buyers will generally go and search for a website or other contact details of any artists they like. So it is essential you have a website up and running and contact details clearly visible on your website. This way your fans can reach you and you can build up a connection with them. This is not to try and avoid paying commissions on sold artworks. If someone contacts you after an exhibition and buys one of your paintings, then you should consider paying the exhibition organiser the commission if the buyer found you through that exhibition. I hope this article gives you some inspiration to enter art exhibitions and an idea of what is involved. I am not trying to push you to do art exhibitions, but I do think they help you improve as an artist. If you have any thoughts or tips of your own, please share them in the comment section below. Your comments on how we might feel about certain things is very refreshing. I love your insite. Most of us don’t like surprises so being prepared emotionally is very helpful. The way you word things is so relaxing too. Thanks so much I look forward to each article you write. 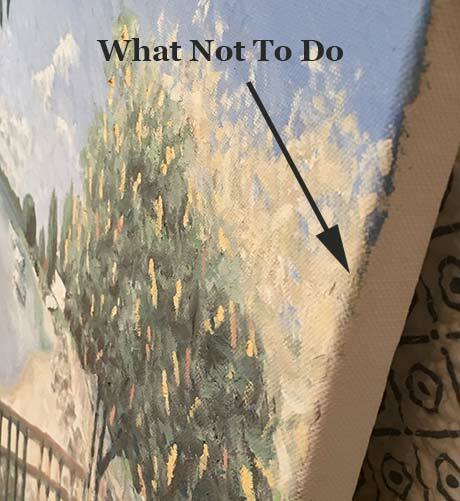 How much you want to sell the painting for? How large the canvas is? Is is a thin or thick edged canvas? Does it look OK without a frame? A frame is not essential and it is becoming increasingly popular to sell without a frame. But if you want to frame the painting you can visit your local frame store and they will help you out. My friend is a great artist, and he’s ready to enter his first art exhibition. I really liked that you mentioned that art exhibitions can help you meet other artists. I think this would be great, as they can maybe even give you some pointers. I’ll definitely share this article with him, so thank for sharing. How do I find art competitions? I would subscribe to your local art magazine. They usually have a place in the back with details of all upcoming competitions. That is what I do. Too much money on fees for little results. It is like the lottery. Better to spend your time in your art and putting yourself out there by your own social media and marketing before the art industry recognize your work. I agree that displaying painting artwork in the exhibition will let you piece of art gain more exposure and attention. I love going into painting exhibitions because I love buying oil paintings. I have created a Facebook campaign encouraging young and amateur painters to display their artwork for them to be recognized. I hope next month, there will be another exhibition so that I can buy an oil painting for my living room. From where I can get wire for hanging my paintings? You might be able to get wire from your local hardware store or even arts and craft store might have something suitable.